Well, they have an incredible knack for turning old concepts on their heads and coming up with truly new and innovative products. 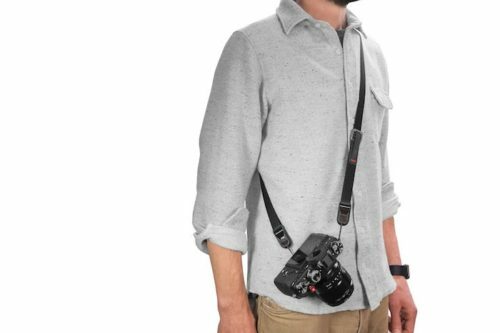 This applies not only to their straps but to every other camera accessory they produce as well, from their unique range of bags to carrying solutions such as the Capture Clip. 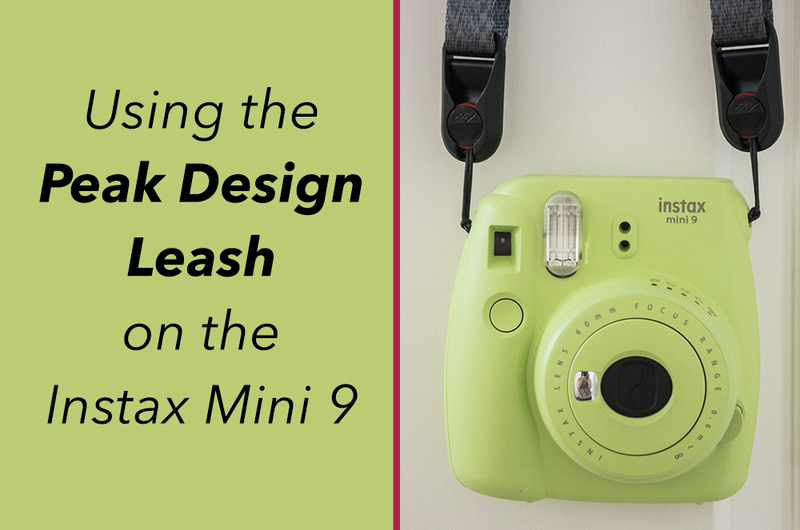 The updated version of the Peak Design Leash is the latest product from the brand, and I consider it the perfect replacement for the cheap wrist strap that comes with the Instax Mini 9. 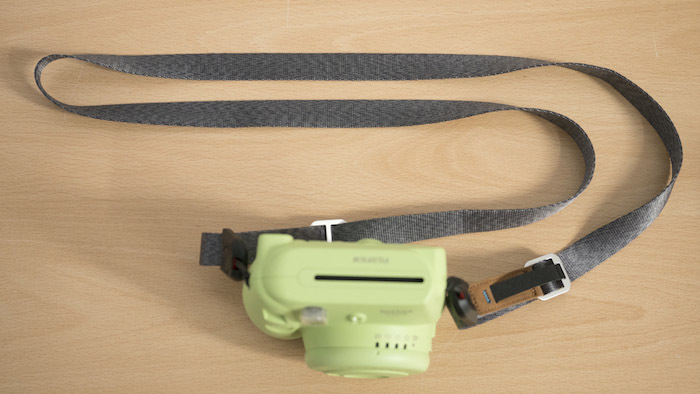 So many camera straps out there are a nightmare to attach and remove due to the fiddly nature of their connectors, and many aren’t even compatible with the Instax Mini 9 because the connectors are too thick for the camera’s eyelets. This is why Peak Design’s anchor link system is such a treat. 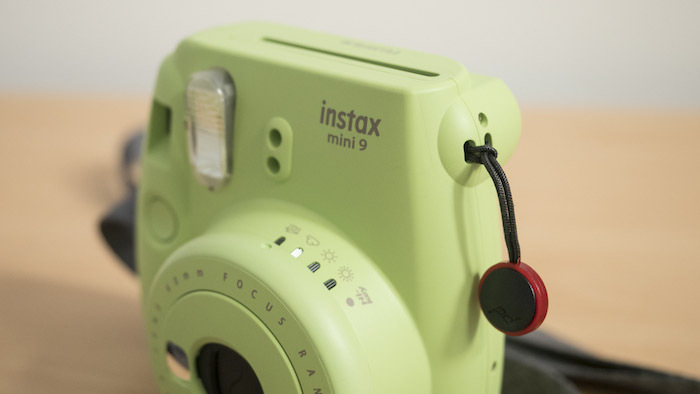 You attach the anchor links (the small red discs with a loop) to both of your Instax’s eyelets. Once attached, slide them into the connectors on either end of the Leash. When you don’t need the strap, simply press down on the anchor links and slide them out of the connectors. The simplicity of the whole process aside, it’s also worth mentioning that the anchor links are extremely strong – so strong that they can withstand 200 lbs in weight – so the chance of them fraying and snapping in two is slim to none. 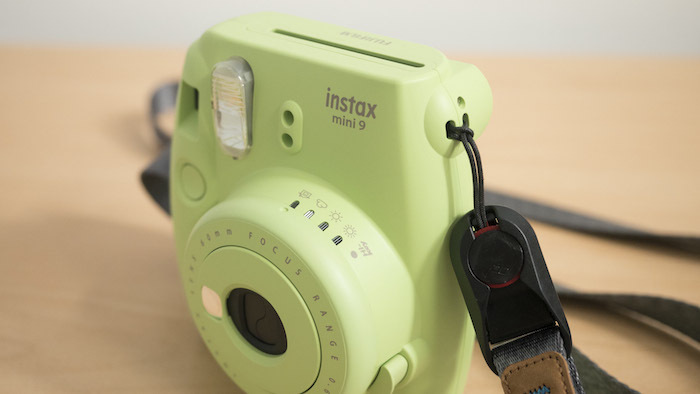 What’s more, the anchor links and connectors are made of plastic, so they won’t damage the plastic body of the Instax unlike straps with metal connectors. If a strap isn’t easily adjustable, I won’t use it. Simple as that. The good news is that the Leash is one of the easiest straps to adjust that I’ve ever used. 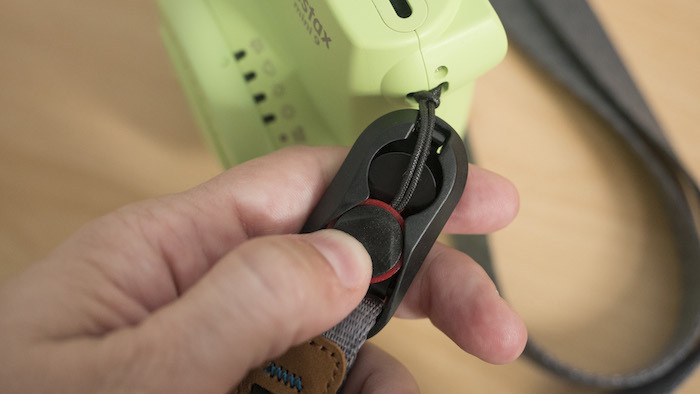 There are two quick adjusters on the strap, and to change the length, all you need to do is slide your finger through the black Hypalon strip and pull up or down on one of them. 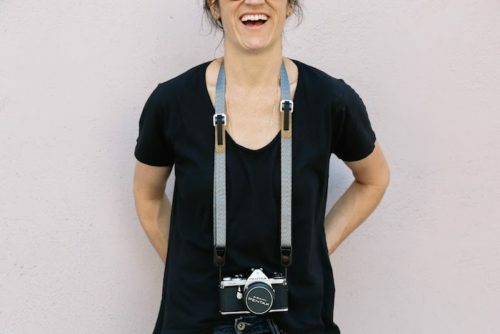 You can turn the strap into a very short neck strap or extend it so that it’s long enough to rest just below your hip. The length you choose ultimately depends on how you want to carry the camera. Something that immediately strikes you when you first lay hands on the Leash just how good the materials are. 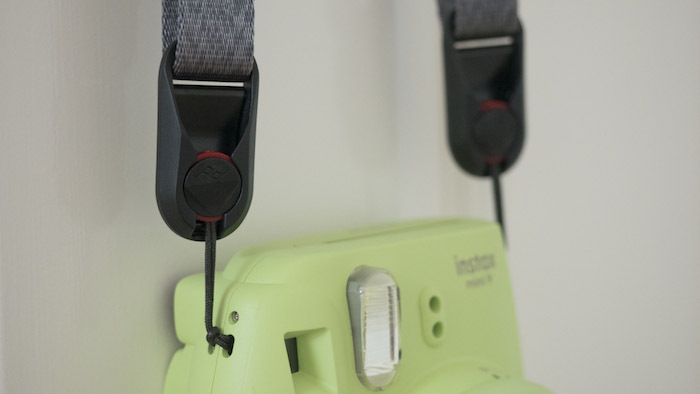 The strap itself is made from smooth and durable nylon that slides beautifully along clothing and bare skin, whereas the quick adjusters are a mix of durable anodised aluminium and Hypalon. The only plastic parts of the strap are the connectors and the anchor links, but once again the quality is excellent. 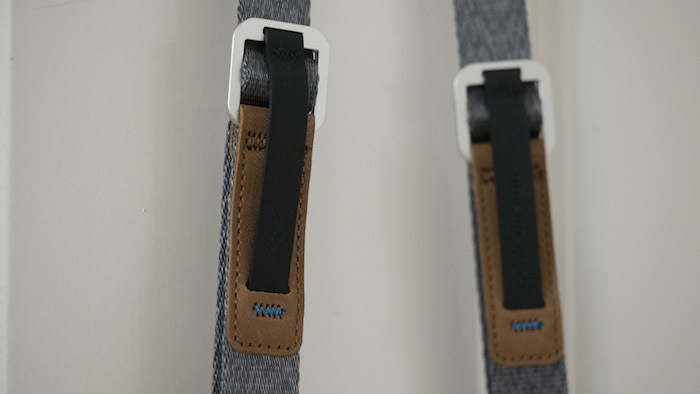 Of course, the quality of the materials isn’t the only important aspect – the design of the strap matters too! 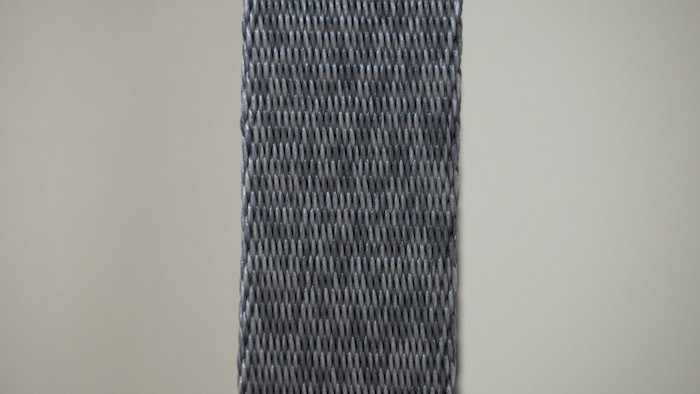 The Leash currently comes in two different colours: Black and Ash (metallic grey). The tan leather accents and anodised aluminium on the quick adjusters nicely complement the strap regardless of the colour you choose. I wouldn’t mind if they added a few more colours to the range in the future, but otherwise, I can’t complain about the design. This final point isn’t directly relevant to the Leash but to Peak Design as a company, and that’s their commitment to social and environmental issues. For example, every year they donate 1% of their revenue to environmental non-profits, something they consider a “self-imposed tax” to help offset the waste they create in producing their accessories. They’re also members of The Conservation Alliance through which they partner with other brands to fund grassroots organisations that work to protect the wild places they love. It is also their goal to keep Peak Design products out of landfills. Not only do they provide a lifetime warranty, but they’ve also launched a program for refurbishing used or damaged items. In short, Peak Design is a company that aims to give back to the community and environment, and that’s definitely something I can get behind! 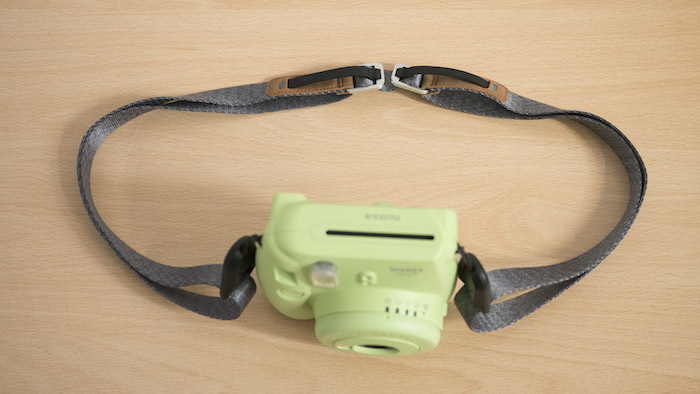 Which strap do you use with your Instax Mini? Let us know in the comments section below!